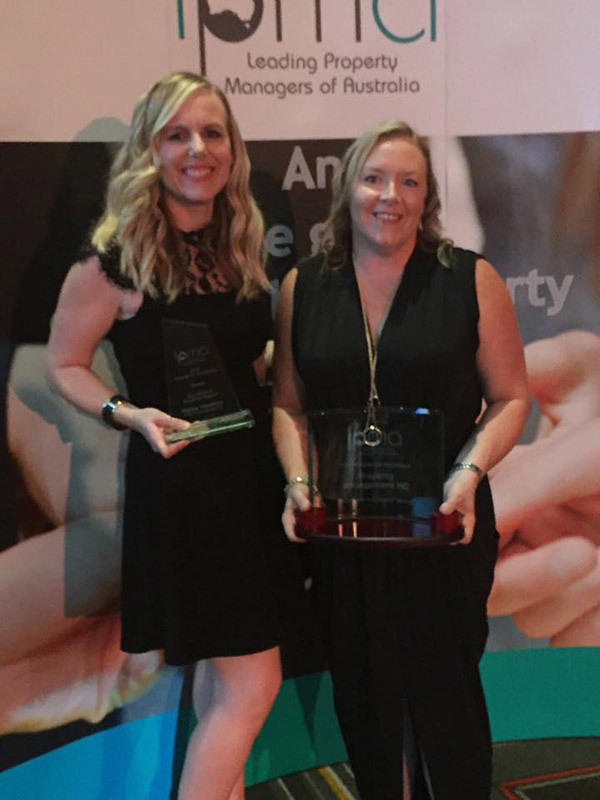 The team at The Leasing Network (formerly Property Management HQ) are proud winners of the prestigious national company award, “For Excellence in Customer Service” at the Leading Property Managers of Australia’s (LPMA) for 2017. The winners have been announced for the LPMA 2017 Awards for Excellence. Local property management company Property Management HQ has won the Excellence in Customer Service Award. “LPMA is an elite group of professionals made up of the very best property management practitioners and companies. They are at the forefront of Australian property management practice, and their Awards are highly sought after. By being announced as finalists, these firms and individuals are recognised as the very best in the property management industry. They lead the way in professionalism, professional development and industry standards”. Bob Walters, Executive Director of LPMA said “All finalists in these Awards are of such a high standard that it was very difficult to separate the winners”. “LPMA Members are governed by a Code of Practice and exemplify the highest levels of professionalism and innovation, therefore these Award finalists are deserving the highest honour that we can bestow” Bob added. The Property Management HQ team are thrilled to have won this award, presented at the Leading Property Managers of Australia Gala Awards Dinner on Thursday 4th May 2017. We would like to thank all of our wonderful advertisers and subscribers, whose support and encouragement has brought us to where we are today. It is very humbling to be respected and win such an award against so many other wonderful businesses. We would also like to congratulate all of the other award winners and finalists on their amazing achievements, I believe that we all have a dedicated and committed team that works very hard to deliver this exceptional service.